I'm not going to bore anyone about the long and storied history of the legendary Jeep. 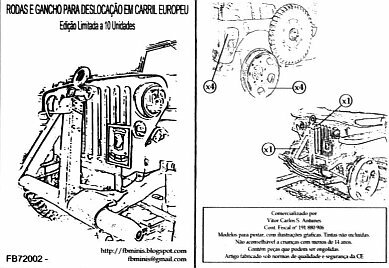 It was such a versatile machine that one could make a whole collection of only Jeeps, in its multifarious variations, and spend many years doing it. I had wanted to build the Airfix kit for some time, my initial plan being a basically straight out of the box build just to get an idea of how well it was manufactured. When I had the opportunity to try out the FB Minis conversion kit to make a railroad version I leapt at the chance and the Airfix Jeep jumped to the front of the build queue. 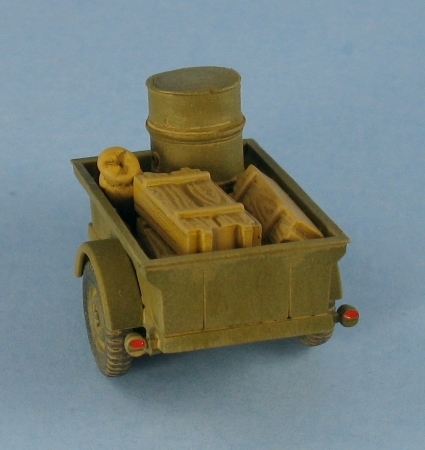 Inside the box you get two sprues containing 53 parts molded in a softish pale olive colour. 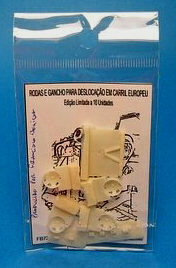 There is also a sprue containing 2 clear parts for the headlights and windshield, an instruction sheet and a sheet of decals. There are some ejector pin marks which are often in places where they can be seen and sometimes in difficult spots to remove and a few sink marks to deal with. There are also minor seams on most of the parts that require scraping. There are some nice touches with the way the kit breaks down. 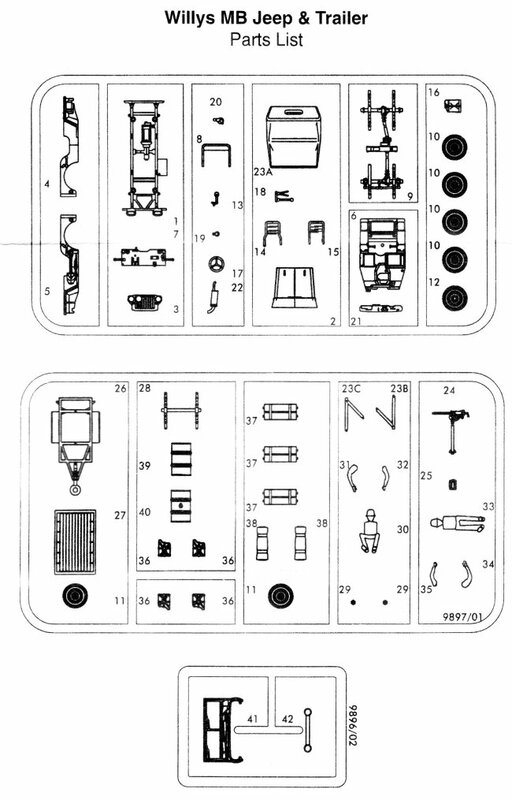 The transmission and drive shift levers (part 18) are provided as a single piece, so there was no futzing about adding these tiny items individually. The windshield is molded as a single piece in clear plastic making it easy to work with as all it requires is the masking of the clear parts for painting. No fiddling around with fitting and gluing a separate clear part with the possibility of smudging the glass with glue. The grab rings on rear are ingeniously molded as part of the tail and just need to be bent around the corner of the body and glued (see construction Step 4). No chance of loosing these if they had been made as separate parts. Wheels and tires are excellent, though the rims could be a bit more prominent to make painting easier. I had hoped the clear piece for the headlights would provide a neat solution to the age old issue of how to make them more realistic looking, but they proved to be a major disappointment. Test fitting showed promise as the lights appeared nice and bright and realistic looking. Unfortunately though, once the hood was put in place, it closed off all sources of light that passed through the clear plastic and the headlights darkened to the point that they looked no different than if they had been molded in opaque plastic. I tried painting the backsides silver but that made no difference either. Like all kits you find a few disappointments. No decals are provided for the dashboard instruments. In my opinion this is one thing manufacturers need to do when marketing a vehicle with an open compartment. The decals are very poorly printed; the larger images such as the star insignia show obvious pixilation to the point where you can almost count the dots that make up the image. I did not use any of the decals supplied other than the yellow bridge weight disk, and I made sure that it got right dirty during the weathering process to hide the poor printing. And while I'm on the subject of the weight disk, it is molded right onto the grille (part 3), which will make removal difficult should you wish to build a version that doesn't need one. 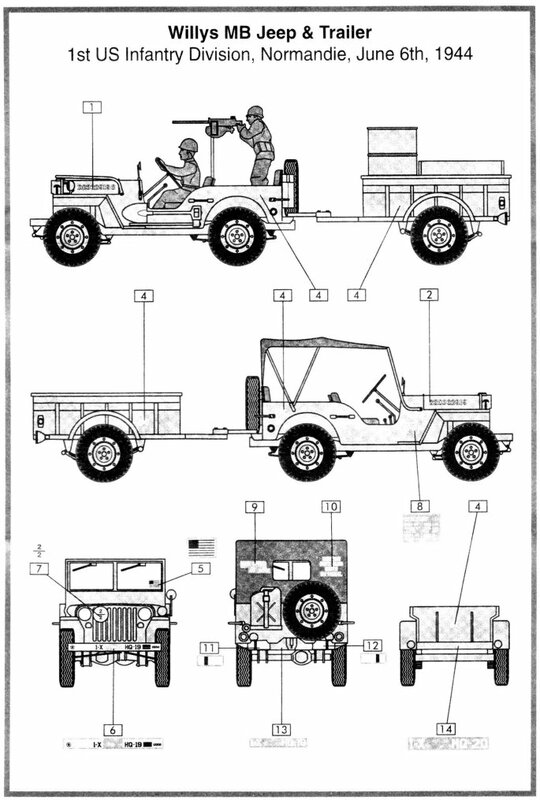 A nice cover is provided for the passenger compartment but if you leave it off there is no folded framework as you often see in pictures of jeeps with stowed covers. There is a variety of indifferent parts. 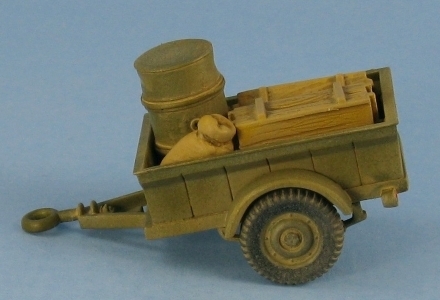 Jerry cans are too short and squashed, the tools are molded directly to the body, and the leaf springs have no detail for the individual leaves in the spring. Stowage for the trailer is hit-and-miss. Offsetting a set of acceptable wood boxes and a fuel/oil drum is another poor jerry can which is squashed much like the other ones for the jeep proper and a set of rather featureless tarps. The connecting circle on the trailer's tongue is much too large and thick to fit into the trailer hitch. The windshield has wind deflectors molded to the frame but I chose to remove these. The floor pan area beneath the seats is hollow and requires covering. The hood (part 2) is missing its hinge line which needs to be scribed. The left body panel (part 5) has a sink hole that needs filling. The frame (part 9) only has the bottom of the engine's oil pan. I added a square piece of plastic rod to the other side to make an engine block. No need to detail it as you can barely see it anyway. The shock absorbers just hang in space and do not touch the frame at any point so I added a small piece of plastic strip between them and the frame to fill the gap. The exhaust pipe doesn't extend all the way into the engine compartment but just butts up against the outside of the frame. I added an extension from the frame into the engine compartment and hooked it up to the makeshift engine block to make the piping look a bit more realistic. 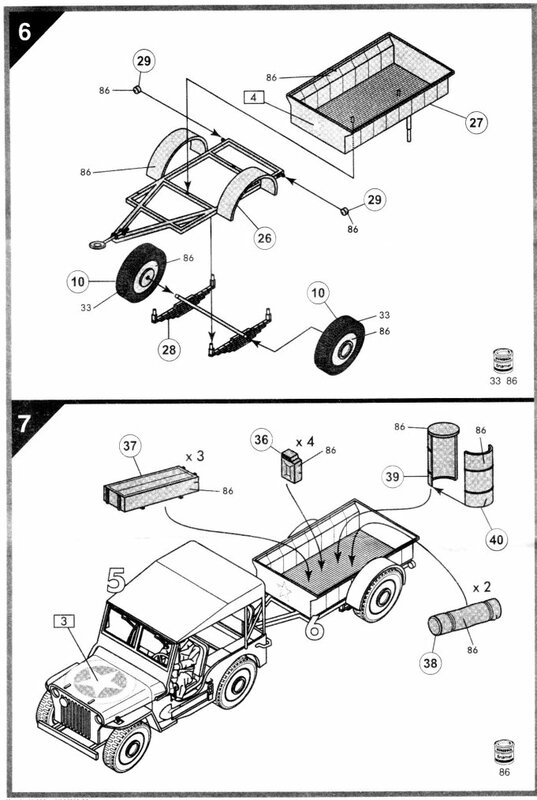 I suggest adding the interior tub (part 6) to the frame assembly to facilitate the addition of the right and left body panels. There are injector pin marks on the insides of the right and left body panels (parts 4 & 5) which interfere with the fitting of the tub to the frame. More injector pin marks need to be excised from the inside of the rear body panel (part 7) as they can be seen with the panel in place. Remove the ejector pin marks from the backside of the rear seat upper cushion. There is a rifle in a mount molded to the inside of the windshield (part 41). Its presence was a bit of a surprise to me once I started painting at which point it became very visible. Up to that point I could feel the lumps/bumps but had no clue as to why they were there. Unfortunately rifle mount also caused deep depressions in the face of the windshield that required filling before I could continue with the painting. The windshield interferes with the mirror (part 13). I chose to fill the hole, but if you want to keep the mirror you'll need to drill a hole further back towards the driver's position. Ejector pin marks on the bottom of the trailer frame also need to be removed and there are two more inside the body that are too close to the sides that they can't be removed. Trailer lights need to be mounted with the half circular lenses to the top (you'll need to use a magnifier to see them tho'!). This is not really indicated in the instructions. 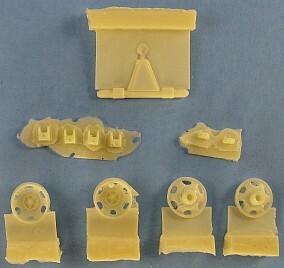 The set consists of four railroad wheels, four hangers for the wheels on the body, a single tow bar for the front bumper and a pair of stowing attachments (though you only need one, so I suspect the second is a spare in case you lose the other one as these are quite small pieces) to mount on the body just above the radiator grille. The weakest point is the rather fuzzy and vague instructions. 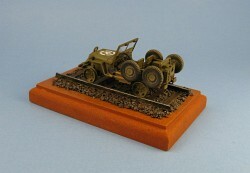 It would have been nice if a section of railway on which to display the model was included. I had to purchase additional track for this. All the parts are cast in a light tan resin. The casting quality was good, with parts contained in a thin carrier film which is not unusual with resin casting. Two of my FB Minis wheels were broken (not becasue of poor pacakaging by FB Minis) and required repair which unfortunately did result in some minor deformities (though nothing too bad) to the shape of the wheels. I made sure that when I put them on the axles the flaws were located to the bottom where they would touch the rails and be less conspicuous. I had to replace the loop on the top of the tow bar because it broke when I tried to remove the resin wafer it was molded into. A replacement was found in my spares box. There are some bubble holes in the towing attachment to fill. Separating the wheels from the resin film was somewhat difficult. The step between where the wheel rims ended and the carrier film began was difficult to determine due to the miniscule difference in thickness of the film to that of the rims. The light tan resin didn't help matters any because it made that little step difficult to see. You could feel it with a finger but not see it with the eyes. I found that lightly running a mechanical pencil in the area of the rim (similar to how you can trace raised relief on a coin by placing a piece of paper over it and rubbing a pencil on top to copy the image) revealed the arc where one could remove the unwanted resin. Once this was done some very delicate work was needed to remove the wheel from the wafer and sand off the unwanted flash. This was most nerve wracking as the rims felt like they were made of paper and would snap with just a sneeze! There were some minor amounts of flash in the six slots inside the dished portion of the wheel rims which was easily removed and I also drilled out the six tiny holes in the railroad rims. 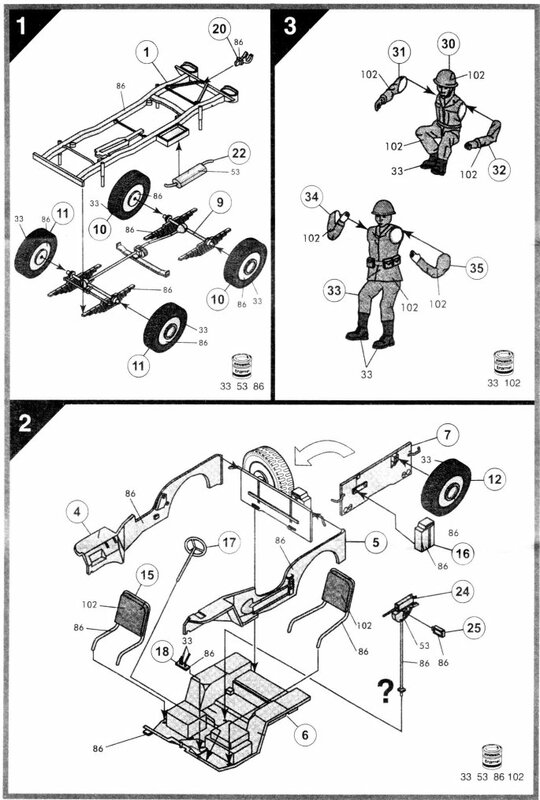 The wheels require reaming to get them to fit onto the axles. The wheel hangers are fairly thick and need to have their bottoms sanded down somewhat to reduce their profile. 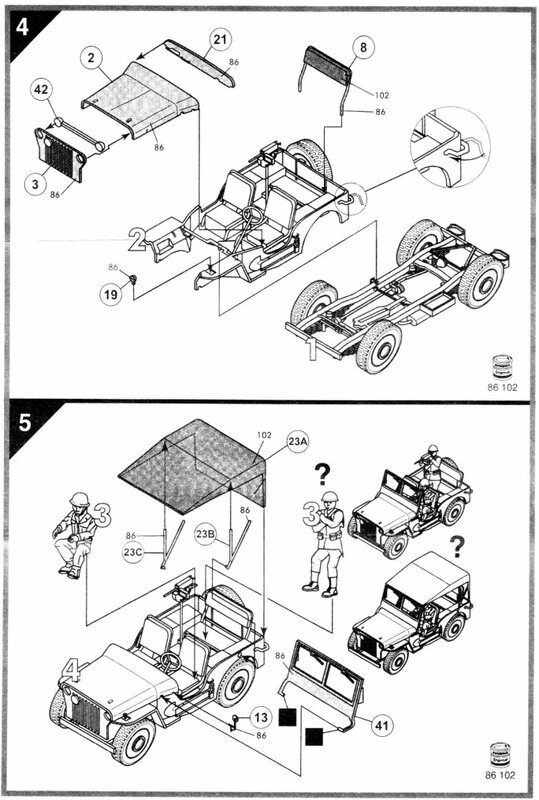 The instructions are a bit vague in directing the modeller as to where they should be mounted. 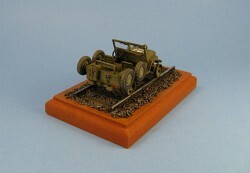 Web photos of similar rail jeeps showed that the wheels when placed on the hangers did not have any sort of hub. I drilled out the hubs on each of the kit wheels and filled the top portion of the resultant hole with a flat plastic disk to match the look of the kit's spare wheel and the pictures from the web. There was still more of the hole in the rear of the rims which made it difficult to mount the modified wheels to the FB Mini hangers. My solution was to add a small extension cut from plastic rod to the top of the wheel hangers to slot into the hole in back of the road wheels. As mentioned above, the kit's decals are not really of any use. Not having any specific wartime photos to work with that matched the wheel design with the FB Minis conversion I decided to go with a generic marked Jeep with a single US Star marking on the engine hood. The decals I used were from the Archer Fine Transfers sheet number AR72048W which contains a variety of dry transfers for US stars with solid or stencil (broken) circle surrounds. I chose one of the stencil style stars and carefully cut the image from the sheet. I positioned the decal onto the hood with some very thin strips of Tamiya tape along the edges of the marking to hold it in place and rubbed the star onto the model with a mechanical pencil containing HB lead. It released very easily from its backing paper and once it was completely free I gently replaced the backing paper overtop of the decal again and lightly rubbed some more to make sure it sat totally flush on the hood. After the final coat of acrylic flat varnish the decal looks like it was painted directly onto the model. Very nice indeed! 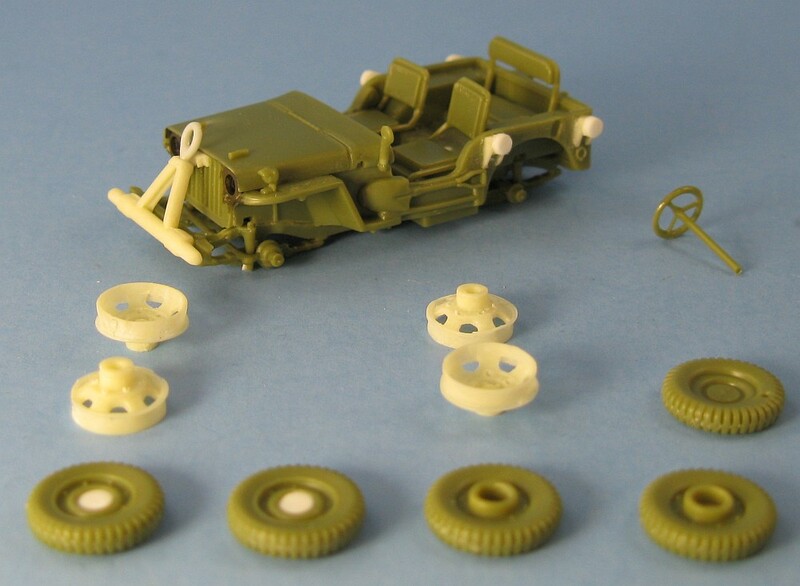 The Jeep is a fairly straight forward kit without any major vices. The only impediment to a quick build comes from the sink holes and ejector pin marks. All in all it makes into a nice replica. 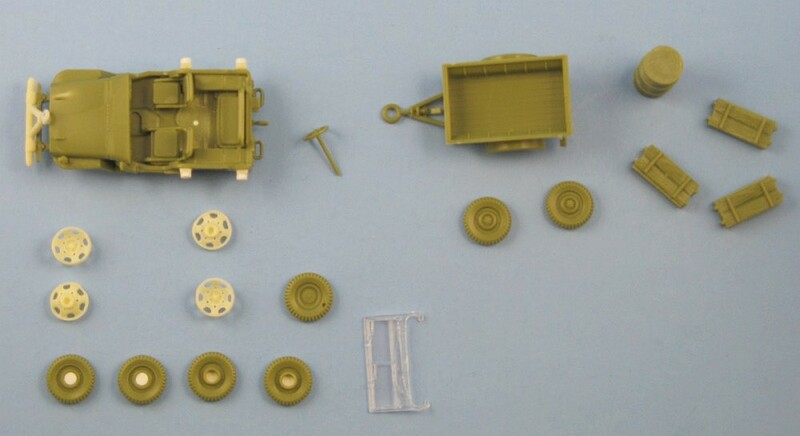 As for the FB Minis conversion, it is nicely executed but does require some patience to extract the parts and the delicate wheels require a soft touch. 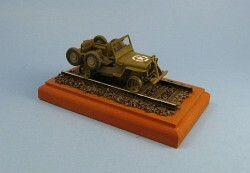 Jeep Railroad Conversion set supplied by Francisco Bexiga of FB Minis. 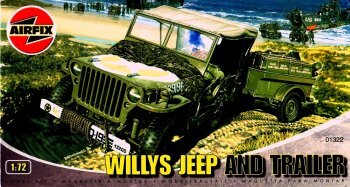 Airfix Jeep & Archer Fine Transfers US Stars samples purchased by the author.